WHILE LA JOYA PERFECTA does have a spa available, we prefer not to think of it in terms of a place, but rather an experience. Our spa has a one-of-a-kind look, smell, and feel – and after experiencing the royal treatment that our staff gives to you, we are certain that you will wholeheartedly agree. You are putting a lot of effort into changing your life, and the La Joya Perfecta spa will enable you to experience the full effects of the life-changing measures you are taking to change your tomorrows by helping you to feel better – today. up through the years to almost effortlessly melt away, as you immerse yourself into the water and begin to fully relax and understand more completely what the term “Pura Vida!” really means. 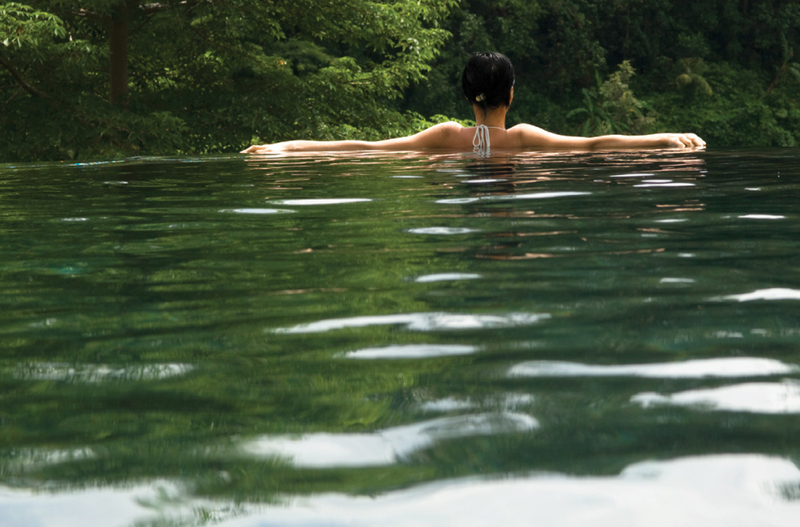 After stepping out of the water, you will be able to experience the full benefit of a massage, while you take in the beauty of the nearby waterfall. The purpose of our spa is twofold: First to help you to relax and enjoy the healing effects of your changed life, and secondly, to escape from any lingering problems or concerns that you may have. While these issues may still be there, you will feel more capable of confronting any remaining challenges when you feel better about everything in your life.